BEST VALUE IN THE NEIGHBORHOOD! Thoroughly updated and upgraded 2 bedroom 1 bath Vintage courtyard conversion features Exposed brick, Newly refinished hardwood floors throughout, and custom window treatments. Full sized in unit washer/ dryer. Large eat in kitchen with 42" cabs, Stainless Steel GE appliances, & Granite counters. Marble bath w/ beadboard wainscoting, Toto & Kohler fixtures. Central Heat & Air, full size walk in private storage. Building is in excellent condition! New lentils, Roof recently silvercoated, New Dual hot water heaters! Excellent reserves. No special assessments EVER. Updating of the common areas already scheduled. TAXES SUCCESSFULLY APPEALED. 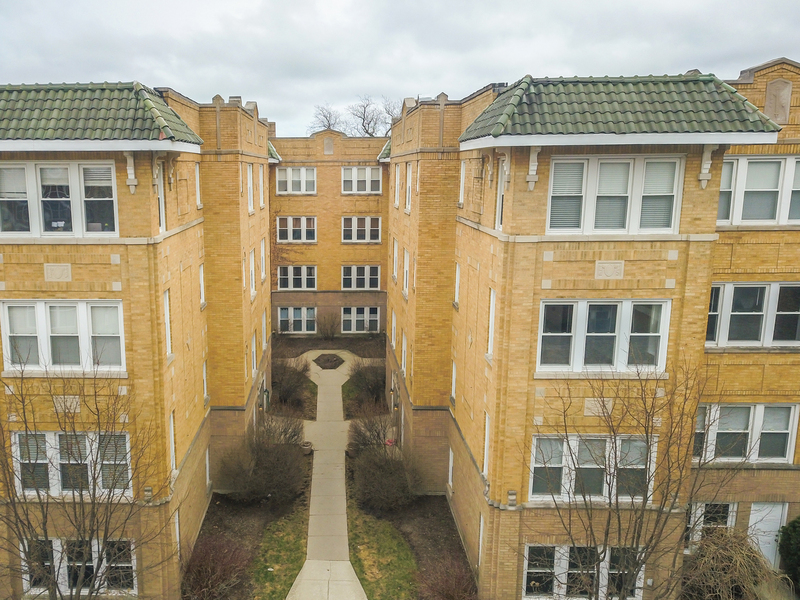 Steps to Metra, Brown Line L, dining, grocery, & much more.